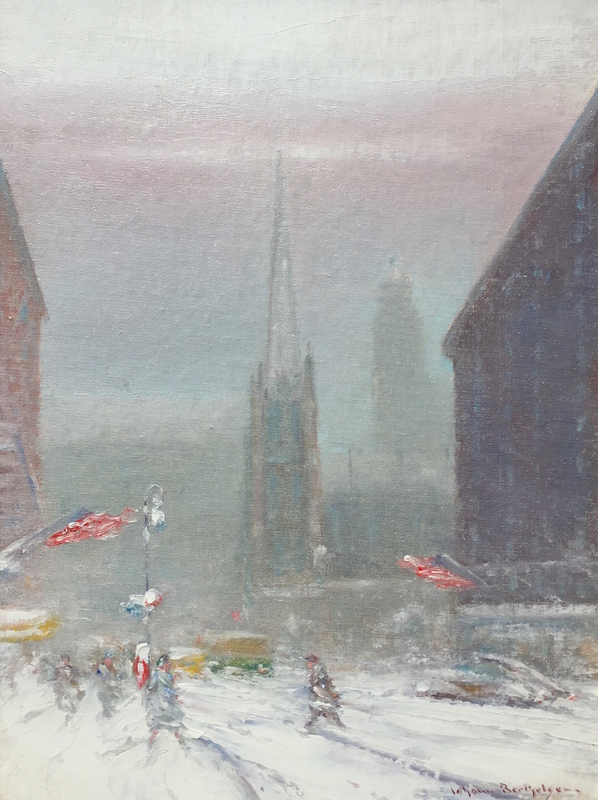 Johann Berthelsen painted exquisitely rendered landscapes of New York City, judged "poetic" by contemporary critics. Ironically, though, it was music, not art, to which Berthelsen originally aspired. A native of Copenhagen, Denmark, Berthelsen was six when his family immigrated to the United States in 1889. When he was eighteen, Berthelsen studied music and voice for four years at the Chicago Musical College. Following his graduation, he toured the United States and Canada as lead baritone for the Grand Opera Company, after which he taught voice, first at his alma mater and then at the Indianapolis Conservatory of Music. In 1920, Berthelsen opened a private studio in New York City where he gave voice lessons. 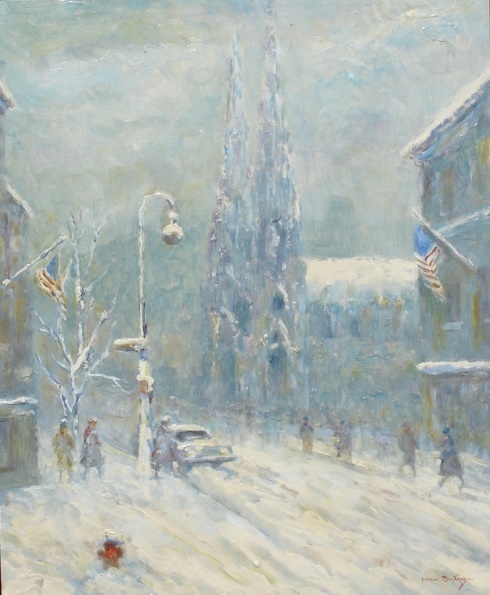 Berthelsen initially established his artistic reputation with his work in pastels. Working with small canvases, he found inspiration in New York's Central Park, rendering this setting most effectively in its seasonal transformations. He painted similar scenes in and of Chicago. They also met with critical and popular acclaim. Having achieved success as a pastelist, Berthelsen turned his attention to oils. He returned to the fundamentals of drawing in order to discover a technique appropriate to the medium. He used a heavy impasto to almost palpably render his landscapes. Berthelsen also painted still lifes. Unlike his landscapes, these works ( again on small canvases) are clearly defined, with colors ranging from bright to low key.